Need a post meal treat to end the day? 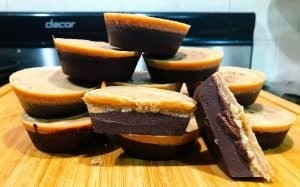 these rich low carb chocolate almond butter cups are a perfect post meal treat to keep you satisfied for hours and hours between meals. 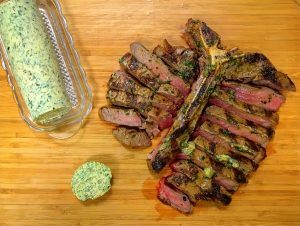 If you're not using this garlic herb butter on your next steak then we can't be friends anymore! JK but real talk, this Compound butter will elevate any cut of beef, pork or chicken to another level and don't get me started on Seafood, Basically you've got Instant Scampi if you add some lemon and wine. I keep this in my freezer at ALL TIMES!